From boomy bass to poor soundstaging, acoustic issues can wreck the audio experience. Acoustic Frontiers has both the expertise and the tools to solve all your audio issues. So your room has acoustic issues. Do you go for the ‘free consulting’ offered by acoustic treatment manufacturers? Or should you fix the problem yourself using a rule of thumb you find on the web? Answer: neither. The failing shared by both these approaches is that they don’t use measurements. No measurements? Then you have no idea either where your issues are, or how severe they are. Any treatment you select thereafter is an expensive guess, with you writing the checks. Typically, the results include ugly acoustic treatment, money wasted on unnecessary treatments, and sub 100Hz bass issues which still haven’t been fixed. While advanced enthusiasts appreciate the need to take some acoustic measurements, it’s a real challenge to interpret that data. Most people’s understanding of room acoustics just isn’t comprehensive enough to analyze the graphs, determine the deficiencies, link what they hear to what they see on the charts, or pinpoint the root causes of each acoustical issue. Virtually no-one will be able to laser-target solutions like we can, and so the enthusiast often ends up in a similar place to the newbie, wasting money on ineffective acoustic treatments and failing to fix the real issues. 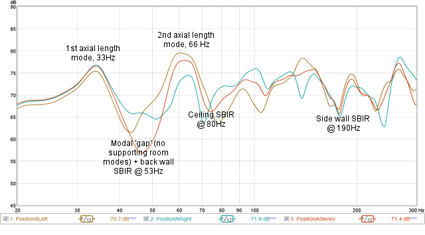 Acoustic measurements—we analyze your room’s acoustic measurements and compare them against our acoustic measurement standards to highlight the acoustical issues. Root cause analysis enables us to pinpoint the mechanisms causing each issue and identify solutions. Best practices review—we identify opportunities to improve sound quality through a review of your room’s acoustic design against our audio and acoustic design principles derived from industry best practices, published standards, and our own thought leadership. Critical listening (onsite service only)—we critically evaluate and score your system’s performance against our sound quality framework (clarity, response, dynamics, imaging, and envelopment) using music reference material and blu-ray demo discs to understand areas of weakness and improvement opportunities. 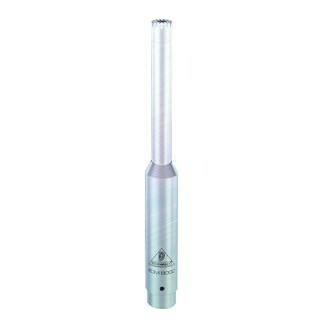 The Room Acoustic Analysis service can be performed onsite within the SF Bay Area and remotely anywhere in the world. If you choose our remote service you can either buy your own easy to use acoustic measurement system (we recommend XTZ Room Analyzer), borrow our measurement kit, or send us measurements from software like Room EQ Wizard. Written Room Acoustic Analysis Report, typically 20-30 pages in length. Includes charts depicting your room’s acoustic measurements with discussion, comparison against targets, and root cause analysis. Phone Discussion to review your report and discuss improvement options. *Acoustic Treatment Design is split out as a separate service because everyone’s needs are different—some want to DIY, others want to use off-the-shelf products. 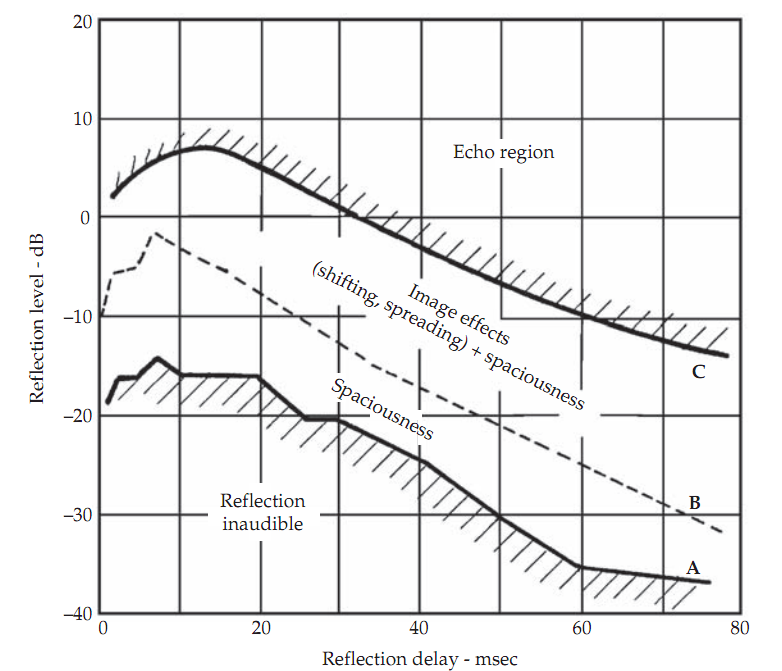 See your room’s key acoustic measurements: frequency response, bass decay, reverberation time, and reflections. 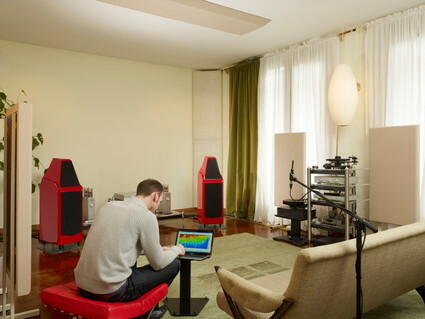 Understand how your room acoustics degrade sound quality. Understand how your room design falls short of acoustical best practices. Understand the root causes of the acoustical issues in your room. Discover the options for improving your room’s acoustic design.